The book is published by IERA (Islamic Education and Research Academy, UK), an Islamic dawah group founded by Abdur Raheem Green. 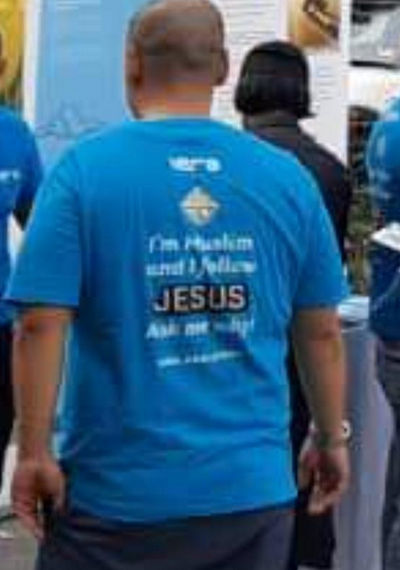 This street dawah is part of their missionary initiative which included an exhibition, “Jesus – Son of Mary Exhibition held on 26 Feb 2018 at the Selangor Golf Club, Petaling Jaya. Given below is a link to their video showing one of their conversations with a Christian youth who seems to have difficulties answering their questions on the Trinity and Jesus’ divinity. Perhaps you can do better as a church leader? Let’s see. For evidence of my conclusion, here are some of the claims found in the book, Jesus: Man, Messenger, Messiah that contradict the clear teaching of the Bible. 1) Jesus preached and practiced the Law of Moses unlike Christians today who preach a salvation by faith without works. Jesus also preached pure monotheism which is contrary to the doctrine of Trinity. 2) Jesus is not the savior of the world. He is merely a prophet sent to the lost sheep of Israel. 3) The Bible cannot be the Word of God as it is full of contradictions and discrepancies. 4) The Gospel of Matthew invented many resurrections. In contrast, the Quran teaches the truth which is that Jesus was not crucified, much less resurrected. This claim is supposed to be confirmed by numerous first and second century Christian groups. 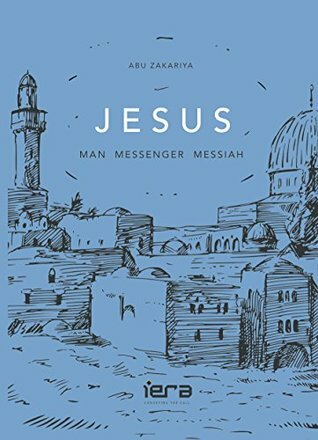 5) The Jewish followers of early Christianity or the Ebionites believed Jesus to be the Messiah but rejected his divinity. He was born human and was adopted son of God at his baptism. Jesus remained human and was not worshiped at all. Later Christianity believed in the deity of Jesus because of the corrupting influence of Paul who borrowed ideas from pagan Hellenistic religions. In short, Paul is not a faithful follower of Jesus but an inventor of a new religion. 6) The Bible itself prophesied that there will be a later prophet after Jesus. Who else is he but Muhammad? Obviously, these claims pose a direct challenge to the truth claims of Christianity taught in the Bible and suggest that your Christian faith is futile since it is founded on falsehood. You can easily be download the book from the internet. I would encourage Christian leaders to read the book and make sure that they know how to refute its dubious claims and protect their flock from these deceptive dawah proselytizers. If need be, later will give a short post on biblical references supporting the doctrine of Trinity. The doctrine on the Trinity is confusing even to Christians when God is taught as being 3 persons. The Bible teaches, “Hear, O Israel: The LORD our God, the LORD is one. The Bible also teaches that the disciples of Jesus are to ‘Go therefore and make disciples of all nations, baptizing them in the name of the Father and of the Son and of the Holy Spirit,…’ Nowhere is the word ‘persons’ ever used. In fact, the singular ‘name’ (not nameS) applies to the Father, Son n Holy Spirit. In other words, the name of thr triune God or Trinity is Jesus, for that is the name the disciples used to proclaim n baptize in the book of Acts. Noteworthy also is the fact that nowhere in the Bible are we to worship the Holy Spirit… only the Father n Jesus His only begotten Son. You posted 6 claims that Muslims believe about Jesus. Will you also post the correct “answers”, so to speak, to those claims? Re: Merrill – Your comment on the Holy Spirit etc have been addressed in all the standard presentation on the Trinity in the standard books of systematic theology. Probably, the comment section is not the best place for discussion…insyaallah..If need be, later will give a short post on biblical references supporting the doctrine of Trinity. Yes, I would recommend Christian leaders (elders) to study and familiarize themselves with Islamic objections to the Christian faith. We have no reason to fear these Islamic proselytizers. After all , our fiercest critics are in-house – liberal theologians who question the historicity and inerrancy of the Bible based on skeptical Enlightenment philosophy, Socianian rationalists who rejected the Trinity and atonement, F.C. Baur’s speculative conflict-origins of NT church based on Hegelian dialectics, Walter Bauer’s revisionist history of orthodoxy, Existentialist demythologizers like Bultmann, postmodern deconstructionists etc. The Gospel has weathered these challenges. The Muslim proselytizers are amateurs compared to our in-house critics. All the Muslim proselytizers seem able to do is pick some low hanging fruits from the ‘tree of biblical criticism.’ They then regurgitate the low fruits of liberal criticism to confuse Christians who are not grounded in their faith. But we have no fear of these amateurish new kids on the block. We Christians welcome all criticism so long as the criticism and debate is accurate and courteous. However, to be credible, Islamic critics should subject the Quran to the same standard of rational criticism. It is telling they insulate the Quran from rational-historical criticism while applying it to the Bible. Christian leaders should set an example for the flock. Take up the challenge, exercise due diligence to strengthen their own competence in Bible knowledge, doctrine and apologetics. How else can they guard the flock from Islamic proselytizers? Thanks Bro; good and clear piece! We worship the Father and the Son in the Holy Spirit. Matthew 10:20 – the Holy Spirit is the Spirit of the Father. Galatians 4:6 – the Holy Spirit is the Spirit of the Son. Therefore John 14:23 can be true when the Holy Spirit lives in the believer. Both the Spirit of the Father and the Son make their home in those who love God and keep God’s commandments. Because we know the Father is in heaven and Jesus is at His right hand in heaven. They are present on earth only in the Holy Spirit. The Jesus they follow is the Isa of the Quran. This Isa is not the Son of God and didn’t die for the sins of the world. This Jesus neither is the Savior nor Lord of the world. If they follow the true Jesus, then they must no longer call themselves Muslims nor should they follow the Quran. Very simple, it’s not just the Muslims. 1. Have you received Jesus as personal Savior and Lord ? 2. Have you received the Holy Spirit ? Only when he answers yes to both questions, then you have a dialogue with him asking him for the scripture reference in the Bible to support whatever he’s saying to you. If he cannot provide the scriptures then you can walk away. Don’t waste time with such fakes. Check the Hebrew word used for one. It is echad, meaning a group as one – an example of its use is for the bunch of grapes that the spies brought back from Canaan. Instead of say, yachid which means absolute one. This is just one of many little hints in the OLD TESTAMENT that YHWH is not unitarian. Ask me more if you’re curious! GROUPS HAVE BEEN WORRKING HARD ON STREET DENIGRATION/ DISTORTION OF CHRISTIAN FAITH (PARTICULARLY ON THE DEITY AND REDEMPTIVE WORK OF CHRIST), ALL SO OPENLY, BLATANTLY, BULLISHLY AND DECEPTIVELY IN BUSY STREETS, PARTICULARLY IN KL. IT IS GOOD TO KNOW THAT THE MINISTER CONCERNED YB MUJAHID IS PLANNING TO DRAW UP LAWS/REGULATIONS TO UPHOLD RACIAL/ RELIGIOUS HARMONY IN THE SOCIETY, NOT JUST FOR ISLAM, BUT FOR ALL RELIGIONS, AND GLAD THAT THE MAJLIS OF NON-MUSLIM RELIGIONS IS ASKING FOR A SAY IN THE MATTER, WHICH IS MOST JUST AND APPROPRIATE. 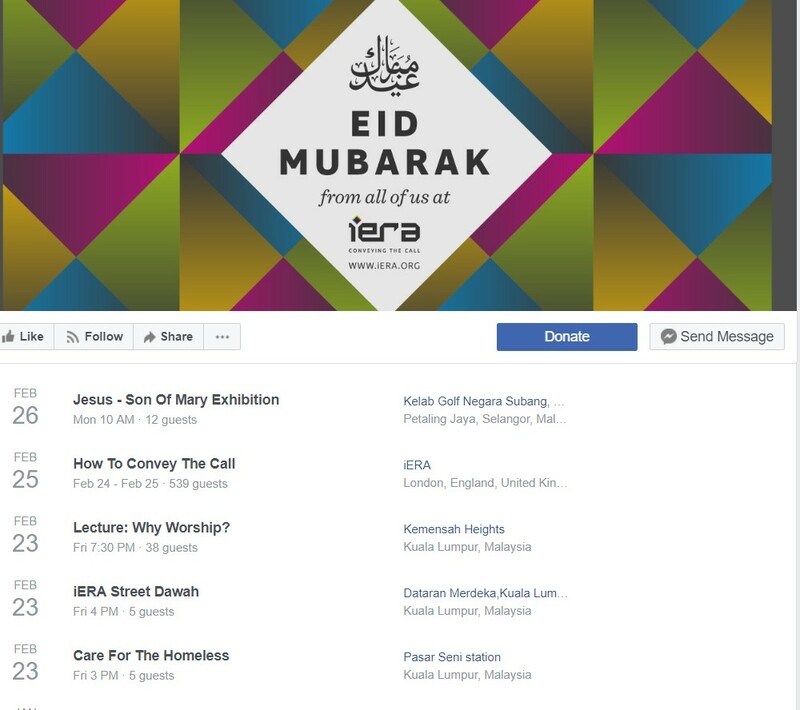 WE SHALL EXPRESS THAT WHAT THE “IERA” AND SIMILAR GROUPS ARE DOING IS MOST UNJUST AND UNFAIR, TO US IN PARTICULAR, BECAUSE ISLAM AND NON-ISLAMIC RELIGIONS IN MALAYSIA ARE PUT ON UNEVEN GROUND. OTHERS WILL BE CHARGED UNDER PROVOCATION AND BLASPHEMY IF THEY DO THE SAME TOWARDS ISLAM, AND SO OTHERS, PARTICULARLY CHRISTIANITY IS LIKE A VICTIM BEING TIED TO A POLE IN THE PUBLIC SQUARE TO RECEIVE THEIR ABUSE AND PUNCHING–INDEED CRUCIFIXION! I THINK WE SHOULD LET THE GOVERNMENT/ RELIGIOUS AUTHORITIES KNOW THAT IN CASE SUCH OPEN/ BLATANT ACTIVITIES ARE NOT RESTRAINED, THEY SHOULD ALLOW US TO DISTRIBUTE OUR APOLOGETICS MATERIALS VIS-A-VIS CHRIST, THE BIBLE AND THE GOSPEL IN THE VICINITY OF THEIR OPEN DAKWAH SITES, JUST WITHOUT MENTIONING THE NAME ISLAM, BUT PURE CHRISTIAN APOLOGETICS, LEST THEY ACCUSE US OF BLASPHEMY. IF ISLAM REALLY STANDS FOR JUSTICE AS CLAIMED, THERE SHOULD BE NO REASON WHY THEY SHOULD FORBID US TO DO SO, JUST FOR THE SAKE OF EXPLANATION AND SELF-DEFENCE. I TRUST THAT THE CCM/ NECF/ CFM LEADERSHIP WOULD RISE TO THE CHALLENGE OF THE TIME, AS IT IS REALLY CALLED FOR, MOST JUST AND APPROPRIATE. AND MAY CHRISTIAN APOLOGISTS AS WELL AS LAWYERS/ HUMAN-RIGHTS ACTIVISTS COME TOGETHER FOR SUCH A JUST/NOBLE CAUSE. PLEASE DO CONVEY MY DEEP REGARDS/ CONCERN TO OUR LEADERS. GOD ABIDES, AND STAY CONNECTED. The church need to equipped their people on the basic doctrine of Christianity. In UK, there are street apologists from both side engaging in healthy debate but not here. I suggest Christian apologists confront these group head on to debate them and at the same time also hand out tract to passer by. In this way we can tell them the truth about Christ.